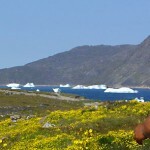 Greenland mountain biking, hiking and kayaking tour: multiadventure! An exciting journey through the different faces of Greenland... and without any engine noise! 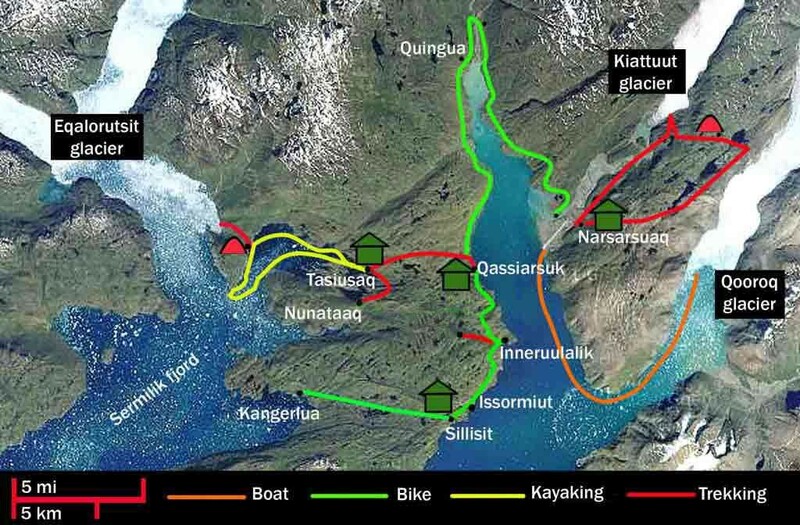 In this active tour we are going to use a very quiet means of transport: hiking shoes, kayak paddles and mountain bike pedals, to shorten the distances between the fjords of southern Greenland without disturbing the wilderness with any engine noise: bird’s eye view of the glaciers in the mountains of Mellem (hiking), partly submerged icebergs in the Sermilik fjord (kayaking) and a tour through the farms of the Eriksfjord (“Greenland mountain biking”)… Are you ready? 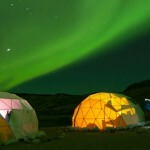 Active trip in untamed nature combining tent & hostel nights. Admire the Inlandis or Greenland’s Polar Ice Cap. Viking & Inuit ruins visit. Glacier fronts sighting boat excursion. Active trip, physically challenging, but suitable for anyone who enjoys the outdoors, who doesn’t mind sleeping in a tent and goes hiking and biking on a regular basis. As for the kayak, as we will be sailing in an area of calm water and due to the stability of our double kayaks, previous experience in kayaking is not required (although is recommended). Flight from Reykjavík (Iceland) or Copenhagen to Narsarsuaq (southern Greenland airport). From the plane, view of the vast and chaotic South Greenland ice sheet forty minutes before landing: a magnificent setting… The Arctic! Reception at the airport by our English speaking guide and transfer to the port of Narsarsuaq to cross the Eriksfjord in the direction of Qassiarsuk. Dinner and overnight stay at the Leif Eriksson Hostel or Tasiusaq. Trekking to Tasiusaq farm where seven people live in notable isolation next to Sermilik fjord, which is almost always blocked by the ice and icebergs coming from Eqaloruutsit glacier. Preparation of kayak materials, and contact with our new means of transport. Instructional session on the kayak, basic safety tips. First day of kayaking in the specially protected area of Tasiussaq and Nunataaq farm. Travelling by kayak through the foothills of Nordre Sermilik Fjord, which is always filled with icebergs of indescribable colours and textures, coming from Eqaloruutsit Glacier. This is an area in which the kayak is the only possible vehicle at this time of the year, due to the ice which blocks access to the rest of the boats. At the end of the first kayak day, the camp will be set up on the shores of the fjord. A short hike through the tundra, until we arrive at the point where we can admire the impressive Eqaloruutsit glacier. Night spent in a tent. Day 4. Navigation among ice. 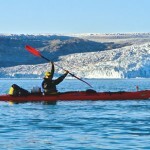 Kayak in the mouth of the fiord among lots of ice, spectacular views and navigation with icebergs. Depending of ice possibilities to get close to the area of Kangerdlua, all year round blocked by ice. Return to Tasiusaq farm in the afternoon. Possibility to go fishing in the fjord. Night at Tasiusaq or Qassiarsuk Hostel. 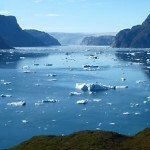 Transfer in RIB boat through Tunulliarfik Fjord, usually covered by icebergs, to Narsarsuaq. Preparation of materials and start of the trek in the nearby Narsarsuaq mountains. Ascent to Mellem Camp, travelling through lakes and rivers, towards Flower Valley. We will carry on with our hike through Flower Valley with spectacular views of an enormous valley created by the withdrawal of and subsequent sedimentation from the glacier, where there are abundant flowers. 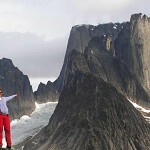 This is quite possibly the most famous excursion in all of Greenland. We will go all the way from the famous Kiattut Glacier, with unbeatable panoramic views of the ice. We will carry on with the hike among tundra and lakes, toward the Mellem cabin, where we will set up camp. Accommodation in tents at Mellem’s Camp. Trek to the scenic overlook of Qooroq. 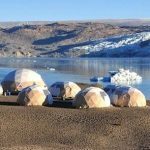 We will continue our expedition with the trek until the scenic overlook point of the Mellem Landet with impressive views of the ice cap, Qooroq Glacier, and a view of Mountains and Nunataks.. Impressive views of the glacier, one of the most active in southern Greenland. We will get right on top of the glacier, so we can observe its entire extent as it drops to the sea. Spectacular vision of ice breaking to the sea. Night in tents in Mellem’s Camp. Day 7. Descent To Narsarsuaq through the Tundra. In the way back to Narsarsuaq and from a height of less than 1,000 metres, we can observe one of the most privileged panoramas in the south of Greenland. Walking in the Tundra and surrounded by green mountains and valleys dotted with lakes and rivers, we find ourselves in a setting of Inland Ice’s incredible mass of ice at our back (Qooroq and Kiattuut Glaciers) and fjords in front of us. In the afternoon, we will visit the Qooroq Ice Fjord, where one of the most active glaciers in southern Greenland can be found. We will navigate on zodiac boat to the area where iceberg density makes it impossible to carry on. This is without doubt one of Greenland’s best images: wonderful sight of ice floating around us. Accommodation in the Leif Eriksson Hostel. Transfer by RIB boat to Narsaq. We will carry the bike with us. You will have the possibility to visit by bike the third most populated town in South Greenland, with about 1500 inhabitants, is the youngest town in Greenland, founded in 1959. The name Narsaq is Greenlandic term that refers to the “plain”, on which the village sits. You will have time to explore on our own the mountain known as Qaqqarsuaq behind the town that contains a mine that attracts many rock pickers and others who have an interest in geology. The beautiful bay and the fish market, in the other part of the town is another very interesting point. When we travel by boat, we will look out for whales, we may see them here. In the afternoon return to Qassiarsuk by RIB boat. Transfer by RIB boat to Itilleq and from there you will go by bike to the idyllic Igaliku, a small Inuit settlement inhabited by not quite 40 people, which is famous for being the most beautiful settlement in the whole Greenland, and where one finds the ruins of Gardar, the archdiocese and religious capital of Viking Greenland. After visiting the ruins you can do by your own an easy hike to a wonderful view point with impressive views of the Qooroq Glacier one of the most active in southern Greenland. In the afternoon return to Itilleq, and then to Qassiarsuk. Accommodation the Leif Eriksson Hostel. Boat transfer from Qassiarsuk to Sillisit. Sillisit is the last farm to be linked in the Tunulliarfik Fjord, and from there you will cycle across the Narsaq peninsula to Kangerdlua farm. This is one of the remotest farms in the area situated in the Sermilik Fjord from here you will have a spectacular view of the fjord always full of icebergs coming from the Eqalorutsit glacier. You will go between small gorges, lakes and meadows. This is an area for falcon watchers, and is very impressive and with some rough terrain. There we visit the farm at Kangerlua, the most isolated of the area. After visiting the farm, you will cycle back to Sillisit an idyllic spot for an overnight. Day 11. Biking to Qassiarsuk. From Sillisit you will cycle back to Qassiarsuk towards the farm of Ineruuralik situated in a beautiful place beside the fiord. The scenery along this stretch, with horses and sheep grazing with icebergs in the background and rocky walls, where at any time it seems that we will meet with Eric the Red, is unforgettable. Preparation of equipment. Transfer to Narsarsuaq. Walk around Qassiarsuk, of about 50 inhabitants, mostly farmers, comprising the old Brattahlid, capital of Viking Greenland. This is the place where Eric the Red settled when he started Greenland’s colonisation back in 985. Cultural visit: Brattahlid reconstructions: Guided visit to the original ruins from Erik the Red, and a replica of the original chapel and longhouse. Free time for shopping, sightseeing, or visiting Narsarsuaq Museum Blue West which reflects the town’s history etc. Check-in and Flight Narsarsuaq – Reykjavík. Registration date: Up to 45 days before the journey’s departure date. – Unexpected expenses as a result of weather conditions (including difficulties or cancellations due to ice or weather conditions) or flight or boat delays.